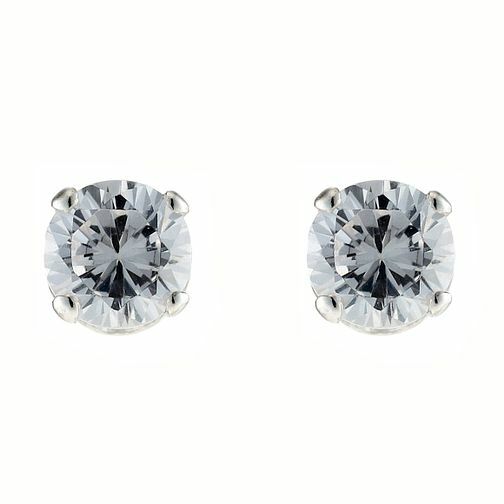 These twinkly cubic zirconia stud earrings are a real essential for any jewellery collection. They combine simple, classic style with fantastic value for money. Silver Cubic Zirconia Stud Earrings is rated 3.5 out of 5 by 2. Rated 3 out of 5 by Asra30 from tops These earings look lovely when worn, great value for money. sparking white gold. Rated 4 out of 5 by harw201 from Beautifully presented Beautifully presented earrings. The product was as described.